This Temple is known as Shri Sai Janamasthan Mandir. It is in Pathri ,District Parabhani Maharashtra,India.Shri V.B Kehr has done a extensive research in 1975 to discover the place as birthplace of Sai Baba. 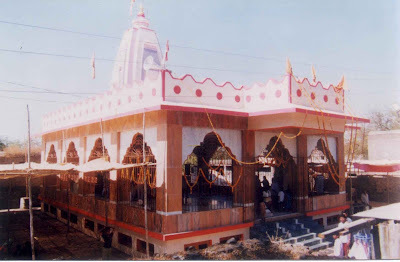 Trust was formed with the intention of constructing a temple on the site of Baba's house .This temple was inaugurated on Dussera 19th Oct 1999. 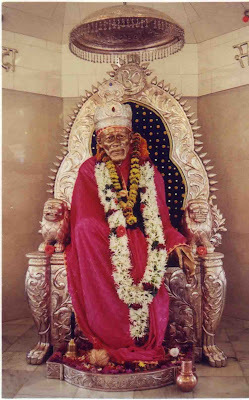 According to Shri Kher jis research ,Baba had referred to his family and birthplace in conversations with Mhalsapati and Swami Sai Sharan Anand, two of his close disciples.Shri Kehr decided to visit Pathri and did further research.He met Shri Dinkarrao Chaudhari a lawyer and farmer .Shri Chaudhary in his conversation recalled that His father had once pointed to Bhau Bhusari and at the sad plight of a descendant of Sai Baba! Later, some Muslim clients who came to see Dinkarrao stated that Sai Baba had been born in a Brahmin family in Pathri and had been taken away by a fakir when he was a child. B.V Kher visited many residents in Pathri and collected lot of details especially of Brahmin families. with their sects, family deities etc etc…From the information only one Brahmin family had Hanuman as the deity and that was Bhusari family. a Yajurvedi Deshastha Brahmin family. 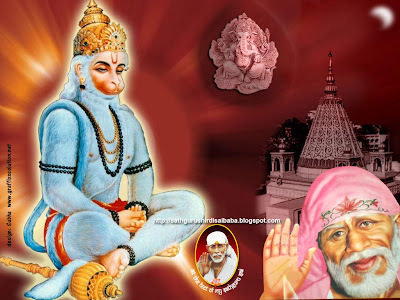 Knowing Baba’s special fondness for Hanuman, it was an exciting piece of information. He began correspondence with Prof. Raghunath Bhusari, the only direct living descendant of the Bhusari family who provided information about the family tree. The circumstantial evidence indicated that Sai Baba was Haribhau Bhusari, who left home at the age of 8 in search of God. “The theory advanced is probable. I leave the matter to the readers to judge for themselves,” says Kher. Interesting fact is during the digging of the Temple foundation, a basement of 6’ x 6’ with two arches and a tunnel just below the proposed Sanctum Sanctorum was discovered. 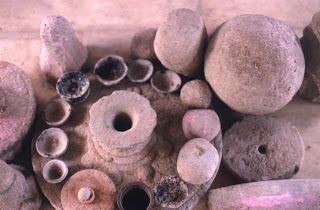 Two querns; an idol each of Hanuman and Khandoba; and Pooja articles like ‘pali’ and ‘panchpatra’ made of copper, a ‘sahaan’, ‘puntees’ and vibhuti like substance similar to that found at Gangapur were found. 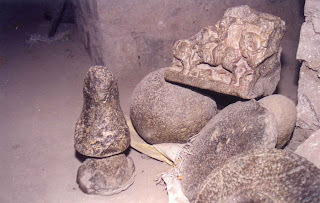 To give the devotees an idea of the old home, a part of the old foundation has been preserved in its natural condition with the old arches and connecting passages intact. The basement also houses a meditation hall where devotees can spend time in quiet contemplation. 1.Shri V. B. Kher – Chairman, former trustee of Sai Sansthan, Shirdi and author of several books on Sai Baba. 2.Shri S. S. Dhanu – former trustee of Sai Sansthan, Shirdi. 3.Shri D. V. Chaudhari, Managing Trustee, advocate residing in Pathri. 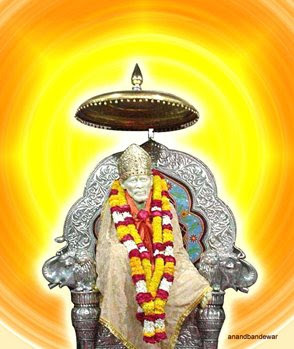 To propagate and spread the universal and eternal gospel message and teachings of Sai Baba of Shirdi. through the spoken and written word, music and the audio-visual media. Six books in the Marathi language have been published and made available to the public at affordable prices by the Trust. The message of Sai Baba which is universally applicable is primarily ethical and lays stress on tolerance, promotion of communal understanding and harmony and brotherhood of humanity. The Trust also arranges for anna-dana (feeding the needy) every Thursday and Sunday and on two Ekadashi days every month. Anna-dana is also arranged during the three day festivals. The Trust runs a ‘Samskar Kendra’ for children to inculcate right values in the younger generation. The Trust organizes an annual ‘padayatra’ or ‘dindi’ of Baba’s palkhi (palanquin) to Pandharpur, in the month of Margashirsha (December). The programme of Haripaath is performed daily after the evening arati. Photographs and books published by the Trust are available for sale at the Mandir. It is also proposed to keep books on Sai Baba in English, Telugu and Hindi, in the near future. 1.The Mandir can presently accomodate about 400 people. Plans have been made to expand it to accommodate about 2000 devotees. 2.The land around the Mandir will be acquired to provide facilities for devotees in a clean peaceful environment. 3.Construction of Dwarkamai will be undertaken to keep the sacred fire (Dhuni) burning uninterruptedly. 4.Construction of Bhakta Niwas has been planned to provide accomodation for pilgrims/devotees. 5.Construction of Bhojanalaya/Prasadalaya will also be undertaken. The Trust of Sai Janmasthan Mandir at Pathri lays great emphasis on the propagation of Bhakti (Devotion) and seeks to make this Mandir the centre of Bhakti. By Train from Mumbai:Devagiri Express via Aurangabad from CS Terminus. Alight at Manvat Road Railway Station, 16 km from Pathri. Further transport to Pathri by bus or jeep. By Train from Hyderabad: Kachiguda Express via Parali. Alight at Parabhani Junction. Further travel of approx 45 km by bus or jeep to Pathri. By air: Flights available to Aurangabad. Further travel to Pathri by road, approx. 3 ½ hrs. By Bus: State Transport buses ply to Pathri. 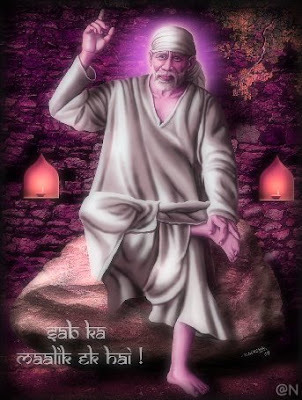 At Pathri: Basic accommodation available at Sai Lodge, Sant Sai Baba Marg, Pathri. At Aurangabad: Aurangabad offers a wide choice of accommodation including 5 star hotels. With all due respect to Sri Kher, there is no evidence of Baba ever speaking about His birth place to anyone. Sri Dasganu Maharaj, in his keertanas narrated a story which mentions the "Patri - Selu - Venkusa" story. Later on, Sri Dasaganu Maharaj himself wrote that Baba never revealed any such details, but he himself put together that story out of occassional sayings of Baba that He came from Patri or Selu Manvat. Sri Baba Himself told that He performed tapasya in Shirdi for 12 years and that His beard was very long during that time. Also, by all research, especially done by Ekkirala Bharadwaja, Venkusa story cannot be accurate (that He took Baba to a fakir) because Sri Venkusa seems to have left His physical frame 70 years earlier, which, if we consider Baba's birth in Patri, is impossible. Baba, just like Sri Swami Samarth, never revealed His birth and other such details. That seems to be an integral part of their Mission, and details not directly proven, better be left out as unknown. "However, once he is reported to have told late Sri Mahalsapathy that he was born in a Brahmin family in the village of Patri and that at an early age he was given away by his parents to a fakir. Perhaps we should take it as a cryptic and allegorical statement that was characteristic of him. For instance, he always referred to God as “the merciful Fakir”, He also said once, “I came here (to Shirdi) from Aurangabad. My mama (uncle) brought me down here”. He once told Swami Sai Sharananandaji, “I was only eight years old when I left my parents and came to the Ganges. 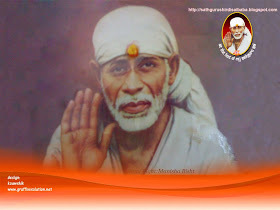 (Baba always referred to the Godavari River near Kopargaon as ‘Ganges’) Then I came to Shirdi”. This is perhaps an instance of Baba identifying himself with Sripadavallabha the first manifestation of Lord Dattatreya who left his home at the early age of eight." My humble opinion. 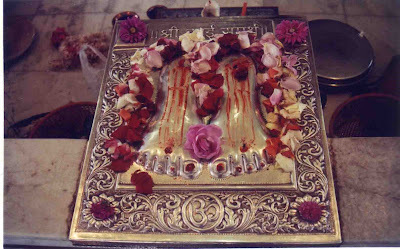 Namaskars to Baba in you. Nice website by the way. Thanks a lot for putting in the effort.